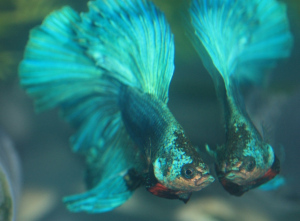 Bettas kept well fed and healthy are usually spawn ready and do not need any special conditioning. But a few weeks of extra feeding, especially with live foods, should have females plump with eggs and males ready to endure a spawn. So what do you do when they still refuse to spawn? Here are a few things that may increase your spawning success. Many fish respond to mother nature when they spawn. In their natural habitat, it may be better for them to spawn during certain seasons or times of the lunar cycle. 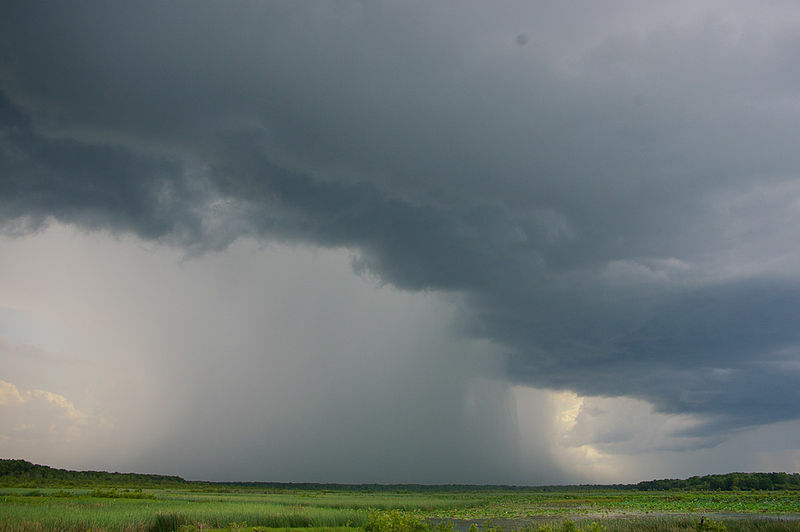 Storm fronts are felt by fish and they often respond with spawning behavior. When you have rain in the forecast it is a good time to set up your spawns. The moon phases are also felt by fish. As a full moon approaches, people get crazy and fish will spawn. 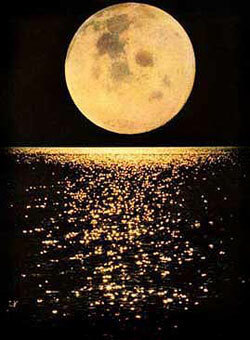 It is possible that the light of a full moon makes it easier for a male to tend his nest, so you get a little easier spawning during this time. So, if you are having spawn issues, try to time setting your spawn up a few days before a full moon and see if you have better success. Bettas live in still water that does not see an influx of fresh water unless it rains. If you have had a pair in the spawn tank for close to a week, ammonia levels as well as nitrites are probably rising. Siphon the water level down gently to not disturb the pair or any nest that has been built and slowly bring the water level back up. Simulating the fresh water that would come after a rain can often be a stimulus to breed. And getting rid of rising ammonia and nitrites will be a plus when you finally get some fry. Do not be concerned with the water temperature being the exact same temp as what you are removing. It should not be very cold, but a few degrees difference will again feel like a rain and often encourage spawning behavior. If your fish are acting more like room mates instead of spawning you can add a little competition to see if that gets them interested. If it is the female that is not interested in the male, put a sleeve in the tank with another female inside of it. Sleeves can be glass hurricane lamps or you can cut the top and bottom cut off a 2 liter soda bottle to keep the female contained. The female you are trying to spawn should start to flare at the new female and get a bit more flirtatious and flaring back at the male. With two females in the tank the male will also be more active and hopefully get busy courting the girl you want to breed him to. The same will often work in reverse with the male. Another male in a sleeve in the spawn tank should get your first male very competitive. He should now be flaring and actively building a nest and trying to get the female under it with him. If having the fish in a sleeve does not get your fish motivated, you might try letting the teaser fish loose in the spawn tank. Make sure you are right there and do not leave them like this. The idea behind this is to allow two males to spar a bit. I will allow them to take a few shots at each other then remove the teaser male. If the male you are trying to breed rose to the occasion and flared and tried to attack the other guy, he should be pumped up and get busy spawning. If the male refuses to even respond to another male in the tank with him, it is possible he will never be a good breeder. Either his temperament or his health has got him so he is not interested. Time to try another male. This trick will also work with another female. Make sure you pick one that will challenge the female you are trying to breed or you will end up with three fish hanging out together. Males will eat eggs for a number of reasons. If they are not fertilized the male should eat them so they do not fungus and kill off other fertilized eggs. As they are developing some may not develop properly and are also eaten by the male. Then, there are males that will just eat eggs. How do you know which one you have? Coming into a spawn you want the both fish well fed. Lots of live food is great if you have it, if not, then just lots of regular feeding to plump them up a bit. But round bellies with a thin top line might mean you have some internal parasites that are taking nutrition from your fish. This might possibly keep your male more interested in getting enough food to keep him alive instead of creating another generation. If you have long, stringy white looking feces and the fishes top line looks hollowed it would be better to deworm the fish and try again once they put on some weight. We have already talked about keeping the fish well fed for getting your fish ready to spawn. If you have a pair reluctant to spawn, try a week or two of beefed up feeding and try the pair again. In nature, seasons of live foods are a natural trigger for females to get eggy and the males to get some extra weight in preparation of spawning. Sometimes live food is as easy as some standing water that holds mosquito larvae. 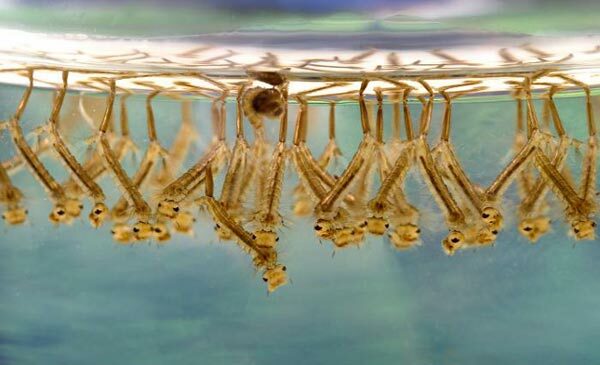 In fact, you can set out trays of water every few days to get harvestable mosquito wigglers. And, if you can set water out or under a light to produce green water, daphnia are another excellent live food you can grow and harvest for your breeders. If you really can not get your hands on live food, do not despair. Your local pet shop should have frozen live foods. 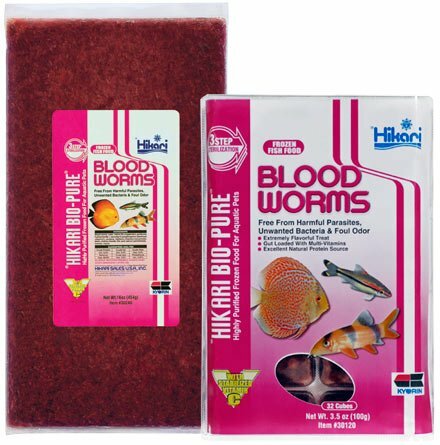 Delicacies like blood worms and brine shrimp are eagerly devoured by Bettas and helps get them into breeding shape. Try to feed a “live” food at least one feeding a day and add several smaller feedings of your regular food. And don’t forget to make sure your basic everyday pellet is a high quality food. You want high protein, but you also want it to come from a quality source and be easily digestable. I was once told an old leather shoe has as much protein as a good dog food, but it is not easy to digest and a poor source of that protein. Fish food is no different. If you want a very good discussion of fish foods and the ingredients in them, check out this article . If you do all the above and you still have problems spawning your fish, they may be too old or there my be something subtle going on and you may never get a spawn. Fish can be tried to spawn several times, after that it may be best to move on to another pairing or pair.